For a Limited Time Enjoy Free Priority Mail Shipping! Moringa Trees For Sale: Now shipping to California and Arizona via USPS Priority Mail! If you live outside of CA and AZ you can buy bare root stock or seed kits at this time instead. *We Ship Moringa Trees from Monday – Wednesday each week as we don’t want your trees sitting in a sort facility for the weekend! If you order after 3:00 pm Wednesday your tree will ship out the following Monday. Earn up to 231 Points Points. 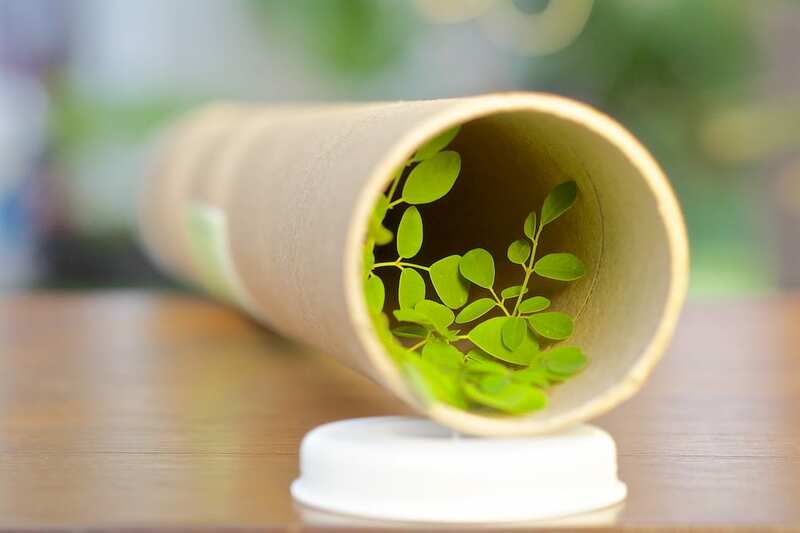 Moringa Trees: Grow your own superfood! 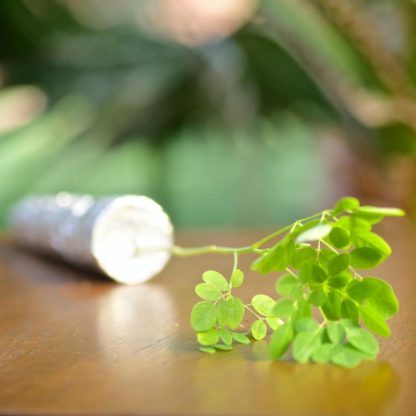 Have you just heard about the amazing Moringa tree? Are you searching for the best place to buy one? We are glad you found us. 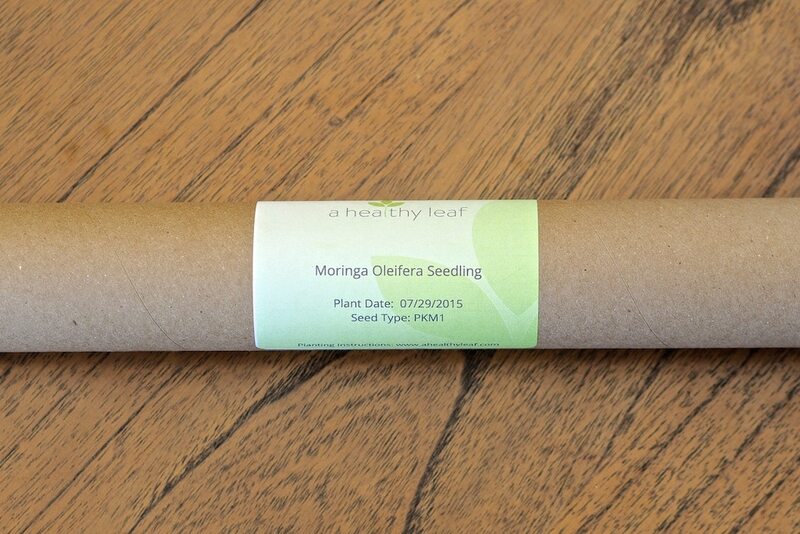 In fact we are super excited that you want to grow your own Moringa tree! We wish everyone could experience growing this incredible tree for themselves! While Moringa is a tropical tree it will grow in quite well in hardiness zones 9 & 10. You can grow it in colder zones too but you will have a shorter growing season. 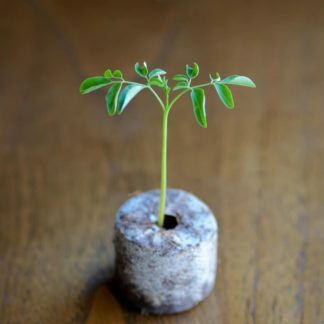 Your Moringa seedlings won’t grow much though the spring if outdoors when the weather is cool, but the clock to maturing and being able to produce flowers and seed pods has started to tick. When the warm weather comes and the Moringa starts to rapidly grow, you will have a head start on being able to produce flowers and then seed pods (drumsticks). Using this technique, we are able to see our Moringa start to flower in early August with Moringa seed pods starting to grow by the end of August. We have three basic guidelines for growing Moringa. Follow these and your Moringa will thank you. 1. Lots of Sun: Plant Moringa in an area that gets as much sun as possible. It’s ok if it’s in partial shade but for best results give the tree full sun. 2. Good Drainage: Moringa can handle handle a wide range of rainfalls but MUST be planted in good draining soil. Don’t plant Moringa in low lying land or heavy clay soils that hold water. Moringa can die of root rot within a couple of days if the roots are in water logged soil. For more information see Moringa Root Rot and How to Avoid it. 3. Protect against cold: A frost can cause a young Moringa tree to die back to the roots and a prolonged freeze will kill the tree completely if unprotected. In colder climates keep the trees inside in the winter and enjoy the rapid growth through the summer. If you live in a region that experiences freezing temperatures you have two options. Cut your Moringa down close to ground level and insulate with straw to keep the roots from freezing. (This only works if you have infrequent freezes with otherwise mild winter temps). Moringa really starts to grow incredibly fast when the average temperature is above 70 deg. F.
Consider adding the optional Mycorrhizae Beneficial Fungi to your order. Use the beneficial fungi for healthier, faster growing and more resistant Moringa. The beneficial fungi create a symbiotic relationship with plant roots to increase water and nutrient uptake. Add 1-2 Tbsp to sprinkled into each transplant site so that the fungi will be in contact with the plant’s root zone. We will provide you the right amount of Mycorrhizae Beneficial Fungi based on the number of trees you buy. 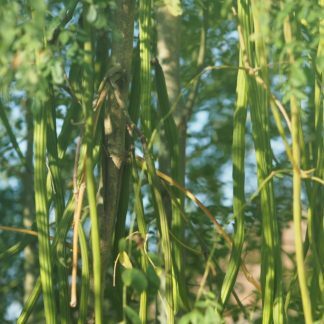 Moringa trees generally have a single stem. While they are extremely fast growing they require pruning in order to have a fuller appearance and increased leaf yield. The multi-stemmed Moringa trees have already been cut down 1 or 2 times and now have more then one main stem. The new stems may be coming right from the root or they may be coming out of the original single stem that was cut down. In either case these trees will produce more leaves and have a thicker canopy right from the first year of planting! 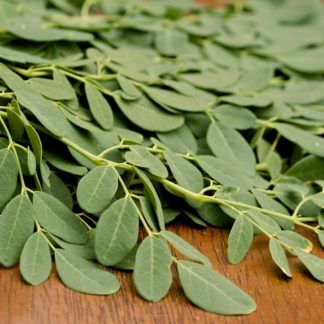 Why Buy A Moringa Tree From A Healthy Leaf? The Moringa trees we have for sale are grown in “Cone-tainers” which measure 1.5″ in diameter by 8.25″ deep. This container is a great balance since it’s easy to ship but the depth still gives the tap-root of the Moringa Tree room to grow. The developed tap root also means you will have a very high success rate when transplanting the seedlings! We give you the option to choose a multi-stemmed Moringa trees. These trees have been pruned 1-2 times already and now have multiple stems coming up from the tap root. This means far higher leaf yield and a fuller tree right from your first year of growing! Instead of planting in a jiffy plug or coco coir (both excellent products) we use a custom blend of local soil with organic amendments to make sure the seedling has the rich mineral and nutrient dense soil it needs to thrive. Additionally mycorrhizae beneficial fungi is added to the soil at the time of planting. We also recommend adding additional mycorrhizae fungi to the planting site when either transplanting your tree into the ground or into a larger pot. Our Moringa oleifera trees are grown from the superior PKM1 hybrid Moringa seeds. PKM1 seeds ensure early flowering and seed pod production as well as higher leaf yield and better taste. For each friend you invite that makes a purchase, we will send you a coupon code worth $10.00 that you can use to purchase or get a discount on any product on our site. Each friend that buys through your link will also be given an $10.00 off discount automatically when they checkout! Get started now, by clicking to Register to get your referral link.